A hour driving tour of the city, with many stops and lunch at a local restaurant. Then a two hour walking tour of the Kasbah and Médina. Our driver, Rashid, provided lots of information,as did Achraf, who was very helpful (and quite enthusiastic), on places to go and places to eat in and near the Kasbah, as well as the city's history. Achraf and I traveled by train from Tangier for a full and wonderfully tiring day in Casablanca. A private car and driver met us at the train station, and was with us all day. A morning more in the car gave way to an afternoon more on foot. From the big sites to out-of-the-way bazaars and lesser-known places, this tour covered a lot of ground, yet didn't feel rushed. Lunch at Rick's Place was a delightful surprise -- great food! Achraf is the man. Hire him! Extremely knowledgeable, taking me to places I requested, sensing what interested me and making adjustments to itinerary, knowing the great non-touristy places to eat -- these all describe Achraf. So do words like eager, personable, attentive, and friendly. I could not have requested a better guide to Tangier! We spent 2 days with Achraf. Both tours were fun and informative. We felt like friends from the first email communications to our final goodbyes. Achraf is a wonderful tour guide. Great communicator before, during and after our time together. Very flexible with our schedule. Upbeat and energetic. I cannot say enough good things about Achraf. He was a fountain of information and showed us so much of Tangier and explained about the many faces of the people somehow all living in harmony. From the Kasbah to Medina to a wonderful lunch of authentic morocco food to a camel ride on the beach it was a great day. He was personable, knowledgeable and absolutely fun. Without a doubt Achraf is your man! I was greeted at the airport by Achraf and Rachid the driver. I was glad to be able to begin my journey by meeting them and ask a lot of questions. I am a woman and was travelling alone and needed advice which I got. During our walk Achraf provided useful and interesting information and he has a good connections with the locals which led to enjoyble moments. The same can be said about Rachid. He also was very informative and warm person. This was a perfect and friendly beginning of my Morocco vacation. We searched extensively for the best guide and found Achraf's group to offer the most flexibility and sophistication. We wanted to try everything and only had one day. Food, history, landmarks, culture & the people topped our list. We were a small group of 6 who have traveled widely. To a person everyone was DELIGHTED with Achraf. He was knowledgeable, funny, spoke perfect English and understood exactly what we wanted. He delivered 100%. Book him! He was the best guide we have used in many years! Achraf tailored a tour to my liking (history, culture, food, & people) and avoided my dislikes (shopping). We explored all of Tangier, plus day trips to the mountains & the coast. We talked about religion, the economy, and the monarchy; wandered the narrow paths of the Medina; sampled fresh bread at the public ovens; and relaxed with sweet mint tea. He was constantly available for anything I needed. And ended my visit by hosting a home cooked couscous meal! A memorable 4-day Moroccan immersion! My wife and I visited Tangier and we were so pleased with Achraf's tour. From the outset it was a pleasure working with him. He made numerous contacts via email before we got there, and the excellent communication continued upon our arrival in Europe. He customized the tour to our interests, and took us places people which large groups don't see (the people in the large groups looked miserable, by the way). Achraf is funny, warm, knowledgable and loves to share history and his passion for architecture. Tour was awesome! The guide and driver were nice, knowledgeable, and showed us a very good time. Vehicle was clean. Took us to lots of fun spots. Achraf and his driver were the BEST. We had a wonderful day in Tangier and he gave us a true feel for the Moroccan culture and people. We loved every place he chose to take us ( including the restaurant he chose for lunch.) His enthusiasm is contagious! We had been to Tangiers many years ago but this visit was so much better because of Achraf. His English is very good and we would highly recommend him as a guide. Achraf has our HIGHEST recommendation; spending the day with him was the BEST day of our 3-week holiday. It felt like we were with an old friend. Book with him and you will truly get the experience of a lifetime. Communication was spot-on from our initial conversation and everything ran smoothly during our tour. Our group had a long list of things we wanted to see during our tour, and not only did Achraf meet and exceed every expectation, he also planned a series of surprise experiences along the way! Achraf was an AMAZING guide for our day in Morocco and I am grateful for the beautiful way that he treated my family. He was authentically passionate about his culture and this shone thru all day in his words and actions. He arranged everything (and a few pleasant surprises too) for our convenience, even our ferry transfers from Spain, and made the experience carefree for us. He was flexible, accommodating, very well organized, funny, joyous, and wonderful in every way. 5 star all the way! 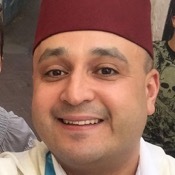 Achraf is an outstanding and knowledgeable guide to Tangier. Most highly recommended. Private tour for two older parents and two teenagers was BEST TOUR EVER and we have been on about ten to fifteen. Walked past the people meeting their guides with taxis or small cars to a large, AC van. In one day hit everything on our list and plenty we didn't know to put on it. We got to see the inside of a beautiful private home in the Medina, special treatment at special shops in the bazaar with no pressure to buy, so many extras. He modified the tour on a dime to accommodate interests and abilities. Achraf was amazing, going WAY above and beyond what we expected in a guide. He was extremely flexible in tailoring a tour to fit exactly what we wanted to see and do. 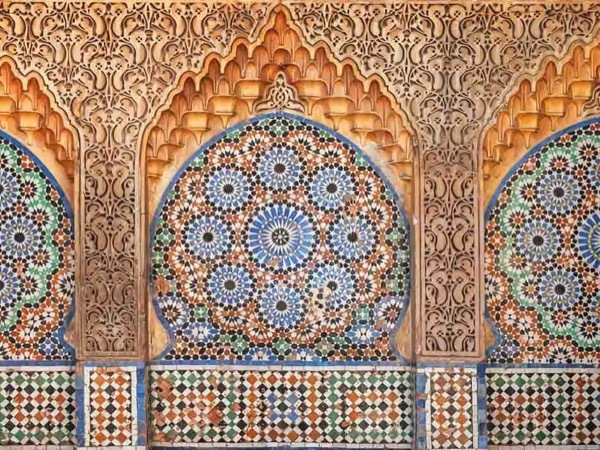 Even if he had not been so accommodating, his enthusiasm, energy, warmth, and knowledge of his city of Tangier was enough to change anyone's pre-conceived notions or reservations about Morocco. He also handled everything from beginning to end, meeting us at the ferry and returning us there. I will be booking all future tours with Achraf.